It’s Tuesday but I chose to refectory on something else yesterday and missed Monday Motivators. Today a wonderful quote from a very inspirational man. What is your personal philosophy of life? 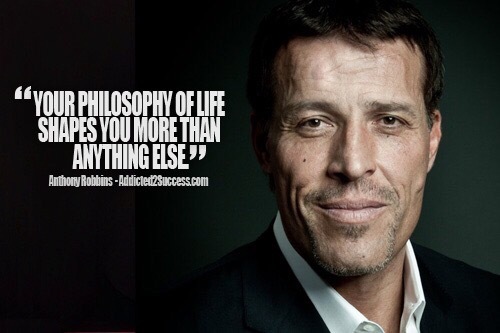 Love Anthony Robbins. Excellent motivational guy. You’re welcome. I’ve listened to a couple of his audio books in the car. He’s very motivating and encouraging. Previous Post Maybe They’re Finally Getting it!